Q: I love puttering in the yard but hate the way plant pollens and molds make my eyes water and my nose run. I prefer not to be on antihistamines and symptom-easing supplements all the time so I’m wondering: Is it possible to create a 'low-allergy' landscape? The amazing thing about pollen and mold spores are that most of them are wind born. 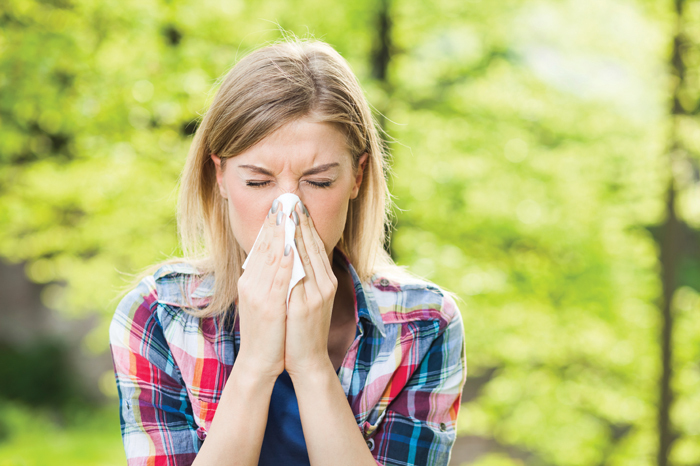 Any breeze on a warm day can lift up pollens and spores and move them miles away to receptive hosts, whether that host is a receptive flower or a person that happens to be allergic to it. If your landscape was large enough and the winds calm enough, I suppose it would be possible to create a low-allergy landscape that would actually reduce someone's exposure to allergens to a level where antihistamines or other symptom-easing supplements would not be needed. But for the regular person with a house on a lot in town or an acre or two out of town, any reduction in pollen producers in your landscape, would not actually reduce your overall exposure to allergens. There is just too much out there when our plants are pollinating and our molds are releasing spores. Most flowering plants are not the source of the allergies. Flowering plants tend to be pollinated by birds and bees and have heavier pollens that aren’t typically as allergenic. Grasses, trees and weeds that are wind pollinated tend to have smaller pollen grains and are the source of most allergy symptoms. These pollen grains can be carried for hundreds of miles. Taking allergy medications prior to gardening is your best bet. Avoid touching your eyes or face when doing yard work. You can also wear sunglasses to help and shower off after gardening. The best times of day to be outdoors are when the pollen levels are lower, so pay attention to pollen counts in your area. Pollen counts are collected by the Muni and posted on their website and our website, our clinic Facebook page and Twitter feed – allergyalaska.com. Steven Seefeldt has worked in agriculture for nearly 30 years and is the Cooperative Extension Service, Agriculture and Horticulture Extension agent for the Tanana District, based in Fairbanks. For information, visit uaf.edu/ces/districts/tanana. Dr. Melinda M. Rathkopf is board certified in allergy/immunology and currently practices at the Allergy, Asthma and Immunology Center of Alaska. For information, visit allergyalaska.com.